The Carolina Panthers football team plies its trade in the NFL’s National Football Conference (NFC) South Division. The team is fairly new, being established in 1993 but has already tasted championship victory in a short space of time. What’s more, they’ve contested two Super Bowl finals and unfortunately succumbed to defeat in both games. The Charlotte-based American football team was recently bought by businessperson David Tepper in 2018. Tepper looked to inject some much-needed finances that could help it take that final step of winning the Super Bowl. Find out how you can get in on the action and bet on your team. Finding out the results of Carolina Panthers’ last game has never been this easy. Simply browse our NFL table to see Carolina Panthers home and away game scores and the league position. Viewing the log standings help bettors get an impression of a team’s chances of making it into the playoffs and by extension, having what it takes to win the Super Bowl. US bettors will have to incorporate all these stats into their decision when betting on Carolina Panthers games. Sportsbooks betting lines and odds will be a reflection of the Panthers league standing along with the scheduled team that they are playing against. Studying the NFL odds is relatively easy, especially if you follow your teams’ performances every week. The Panthers have won six division titles in the short history. The Carolina Panthers roster needs a bit of work, but it will surely improve after the season ends with the new billionaire owner, David Tepper, at the helm. With the odds stacked against them, the Carolina Panthers football team head into the regular season needing victories. Beyond the motivation of playing in the playoffs, the pride of representing the city of Charlotte has given them added impetus to perform in the past. 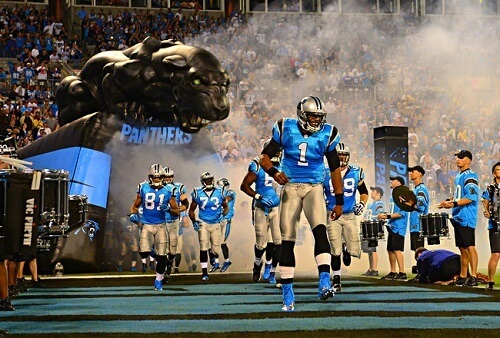 Choose the best point spread Carolina Panther’s bets and watch your bankroll grow.